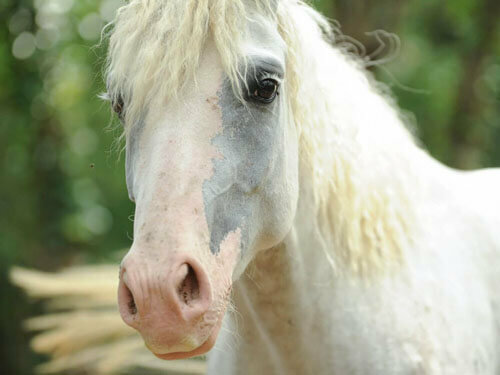 The unique hypoallergenic character of the Curly horse is far from being the only originality of this animal. 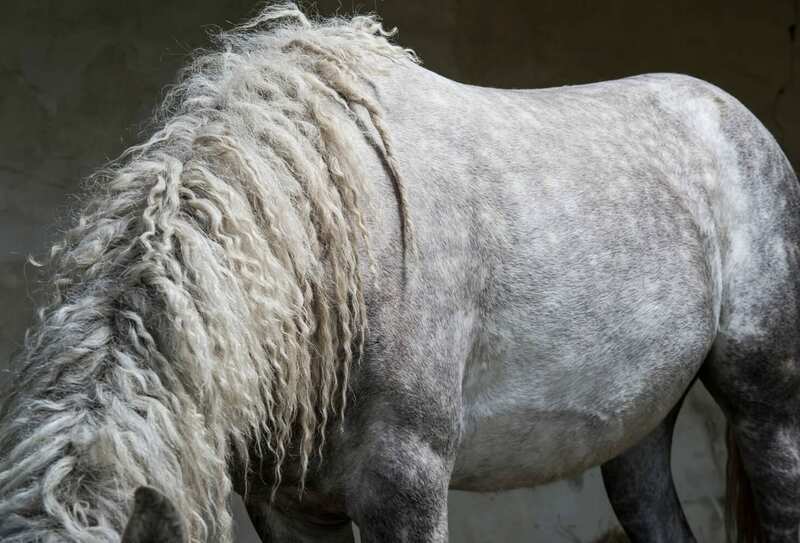 Quite unknown outside the cradle of the breed, the North American Curly is a rare horse: there are about four thousand in Canada and the north of the US and two to three hundred in Europe. Its origin is mysterious: exclusively a horse of the North American plains Native-americans, until the end of the 19th century when its breeder's demise set it free. On the other hand, we know that the Native-americans were outstanding breeders and horsemen from the end of the 16th century to the 19th century. Known to be close to mankind, the Curly may be sensitive and docile, but he is no less courageous. 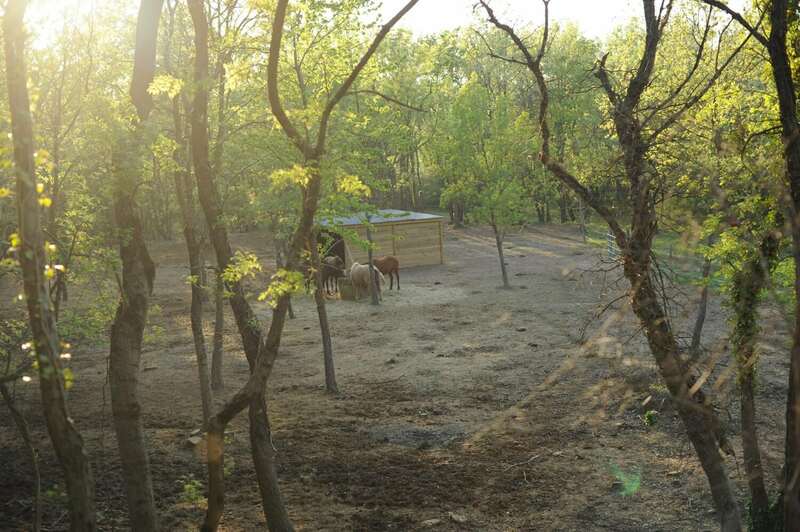 He is above all extremely attentive to mankind, an innate peculiarity in him, and which is possible in other horses only after a particular work. It is ideal for fearful people or when tackling horse riding with children. 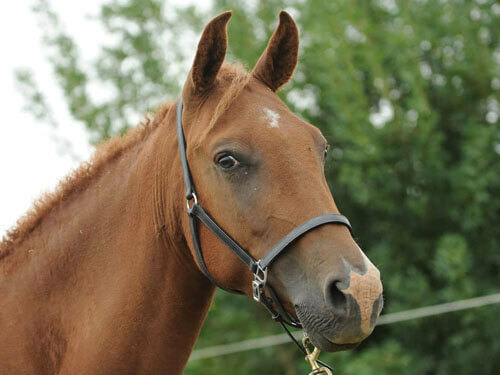 His particularly serene and gentle personality does not prevent him from being a valiant sports horse and having good results in dressage, show jumping, endurance, western riding or even harnessing. 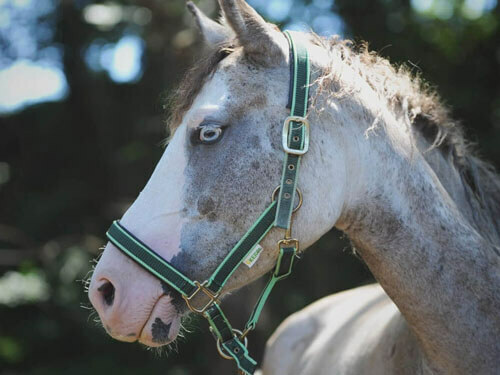 As a low-maintenance, sturdy, frugal and safe-footed horse, the Curly can live outdoors all year long and has a particularly strong hoof that does not need to be shod. He has also been used extensively as a rancher, also taking advantage of his sharp intelligence and determination. Finally, measuring 1.45 meters to 1.60 meters at the withers, its most common dress is chesnut but it can also be declined in black, bay, gray mouse, palomino and even magpie and all the North American coats. Very close to mankind, very respectful and gentle in all circumstances. Herds are fed with organic cereals and fodder that we produce ourselves on the farm. The owner of Curly de Provence, Benoît Miailhe, is a doctor-farmer, passionate about the equestrian world and Curly horses in particular, which gave a particular tone to the farm, to its goals. It is at the heart of this farm that we find the Curlies who have a prominent place, true soul of the premises! The farm was initially composed of a stallion and six brood mares born in Canada (Quebec and Ontario) and the USA. Some mares arrived full of other stallions, this allowed us to diversify bloodlines while keeping the fillies as future brood mares. Their very endearing character will seduce you during your visit. During the latter it is possible for you to stay on site if necessary, in the magnificent central building (composed of four furnished rooms) or in an independent mobile home. My mare and I had the chance to meet Benoit, who opened his doors for us, to live serenely in the least allergenic context possible in his Curly horse breeding.